Dimensions: 41"Wide by 63" long in Natural. Made in the USA. Quantity is limited. Sheer Shadow Stripe voile adds elegance to any window. Shadow Stripe gives semi sheer privacy and is slightly translucent. Spaghetti strap tabs measure 1/2" wide and 3" long. Tab Top Panels are measured from top of tab down to bottom hem. Made of 50% Cotton 50% Polyester. Sheer Shadow Stripe voile adds elegance to any window. Shadow Stripe gives semi sheer privacy and is slightly translucent. For proper fullness, measure 1.5 to 2 times the rod width. 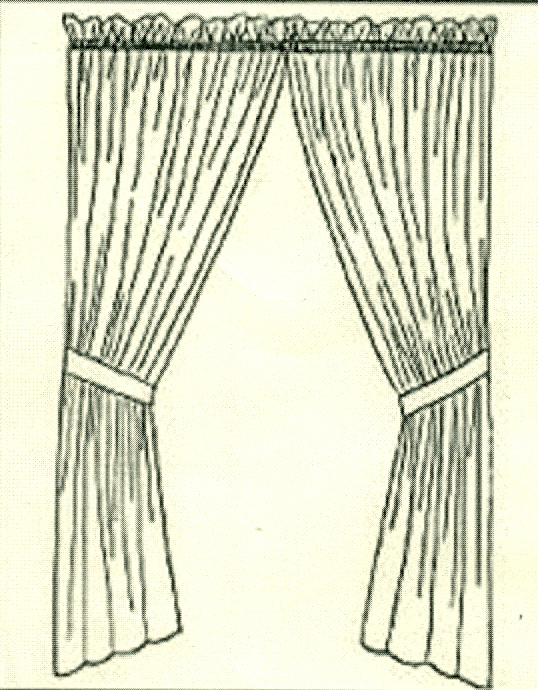 Length is measured from top stitch of top rod pocket to bottom stitch of bottom rod pocket. Our attractive shadow stripe fabric design is offered in Tab Top Panels and Door panels. Availabe in White and Natural, our easy care fabric of 50/50 Polyester/Cotton is machine wash and dryable.